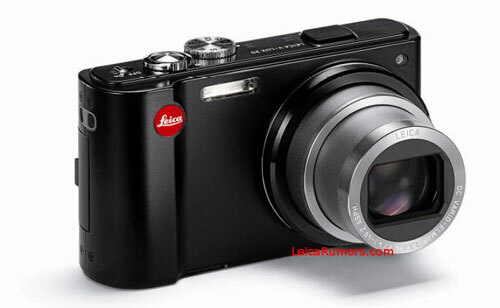 Leica makes some of the more expensive digital camera on the market. The company has a new camera coming soon called the V-Lux 20 and the first image of the new digital camera set to launch next month have surfaced. The new camera will be officially unveiled on April 20. It is based on the Panasonic ZS-7 and features integrated GPS and a HD movie recording mode. The rear LCD is a 3-inch unit. The HD video quality of dSLRs is amazing these days. 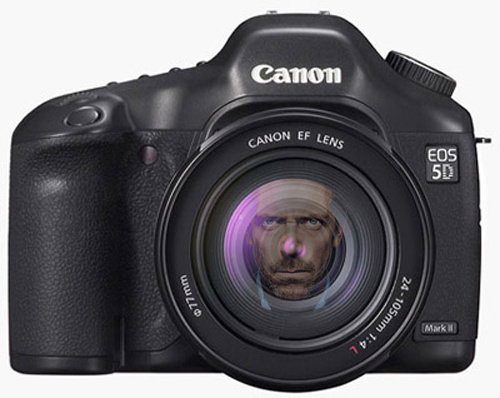 And so the House season finale has now been shot entirely on a Canon 5D Mark II. House director Greg Yaitanes recently announced the news on Twitter. He says the 5D was a perfect fit for the “tight spaces” of the finale. They used some Canon prime lenses along with the 24-70 and 70-200 zoom and they didn’t even use an image stabilization rig of any sort for the non-tripod shots. Pretty impressive. Who says camera gear has to all look the same. If you want to add some geeky style into your picture taking world, check this out. It looks nothing like camera gear. Instead it looks like a Lego creation. Because that is what it is. 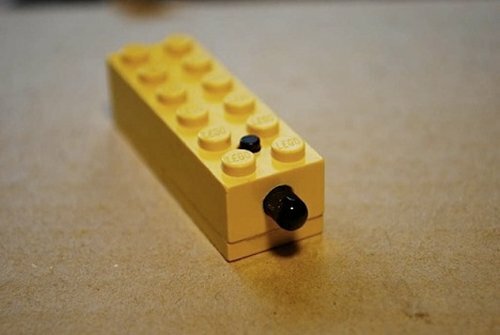 This person has jammed a compact IR remote for his sister’s Nikon into a simple yellow Lego brick. Your subjects won’t know what to think when you use this in your next photo shoot. When it comes to really high end cameras and digital camera for professional photographers, you often buy a digital camera back that can be used on several chassis. Such is the case with the Leaf Aptus-II 10R digital camera back unveiled today. The thing is the price of a nice car at €24,995. For that, much loot you get a 56-megapixle sensor that measures 56x36mm and is able to shoot full width medium format images in landscape of portrait mode. Serious photographers will want to pass on these. 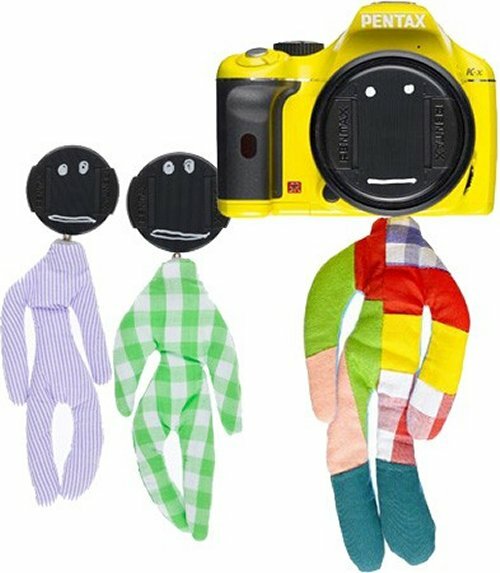 If you are more of a comedian or just a weirdo however, you may be the type to paint a face on your lens cap and dangle a hand-made, ¥2,914 ($32) puppet from your camera. Just be ready for people to run or just stare at you with a wtf gaze if you have a Kameraman puppet on your camera. There are several to choose from, and they all make you look like some demented perv. If you’re in the market for a super slim digital camera, here’s one that even James Bond would be fond of. The Winait CD130BT measures just 13.5mm thin and has some fairly average specs, which is the trade-off for that slim design. It’s only $24.99 and takes 640×480 resolution pictures, with 64MB of on board memory. The camera on your phone is probably better, but if it’s a slim camera you want, why not check it out and impress your friends? Remember the amazing thermos shaped like a camera lens that Canon handed out to press at the Olympics? Of course you do. Ever since you saw it you’ve wanted one of your very own. 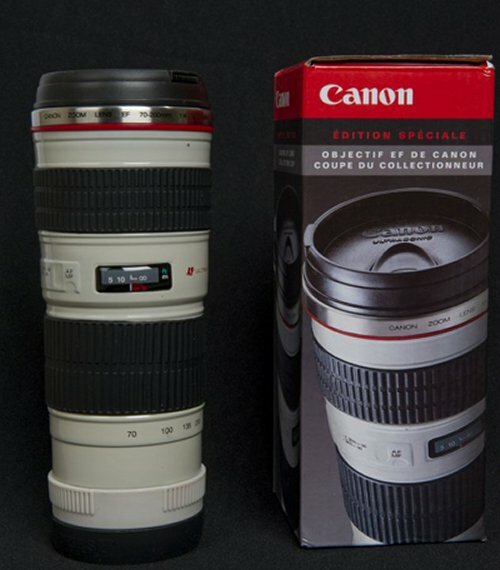 Well, now you too can have a Canon lens thermos without being a member of the press. It’s available for pre-order for just $30. They should ship around April 16th. What are you waiting for? Go get one. I’m sure they won’t last long. Hey photography nerds, check this out. How would you like to drink from your Canon lens? Now a select few can. The press that covered the Olympics not only got to go to Vancouver for 16 days, but they also got this lens-shaped thermos. Pretty cool swag if you ask us. Those Olympic photographers get all the cool stuff. Funny thing is out of all those photographers only one guy thought to take a picture and put it online. You’ve probably missed out on some good shots because it takes you too long to pull your DSLR camera out of the camera bag. By the time you do, the moment has passed. The Cloak Bag might just help you get your shot. It’s the “world’s first and only shoot-through camera bag”. When it’s time to take a picture, just unzip the bottom of the bag, and roll it up. This lets you quickly take pictures with the camera, while still protecting the camera body. There are also slits on the side of the bag, so you can grip the camera and use the shutter button easily and the top of the bag flips open for viewfinder and control access. 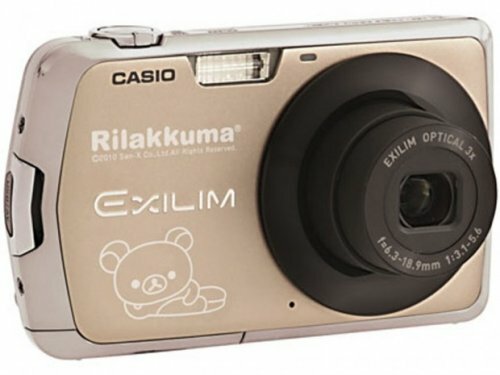 Casio’s Exilim line of digital cameras goes all cute with the Rilakkuma edition. Normally you might expect the image of Hello Kitty, but this time you get the image of an adorable teddy bear on the front of the camera with the Exilim EX-Z330. Some features of this 12.1-megapixel shooter include a 3x optical zoom, face detection, Eye-Fi connectivity, HD recording, an SDHC/SD memory card slot and a 2.7″ LCD display. It’s available in Japan for $290 and includes a pouch so you can carry it in style. I can get wanting to build things yourself. I once tried to build a deck because I thought it would be cool. It leaned so bad your lemonade would slide off the table. I have a DSLR camera, but I have a hard time just using the thing let alone building my own camera. A French geek has decided building his own SLR camera is better than buying and did the deed. 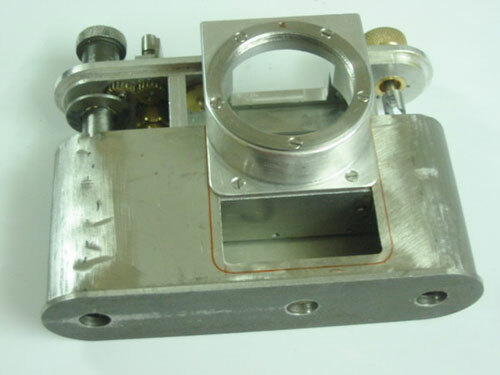 The case was fabricated in what appears to be aluminum. All of the details are in French, so I am not entirely sure what the guy used or how he pulled it off. Remember the Samsung NX10? It’s a hybrid DSLR using a new format created by Samsung which is slightly bigger than the Micro Four Thirds format and smaller than the DSLR format. Samsung has just announced five news lenses for the NX10, which includes an 18-55mm f3.5-56 lens, a 20mm f2.8 pancake lens, a 60mm f2.7 macro lens, a 20-50mm f3.5-56 lens and an 18-200m OIS f3.5-63 lens. 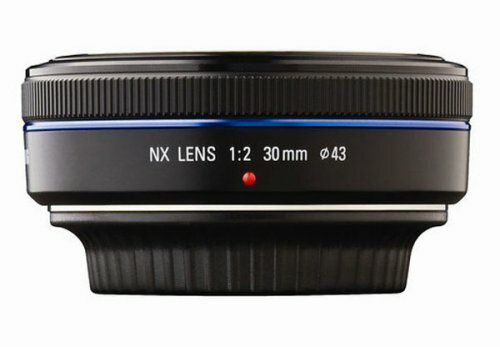 The new lenses are smaller than standard DSLR lenses since the NX10 doesn’t have any mirrors inside. 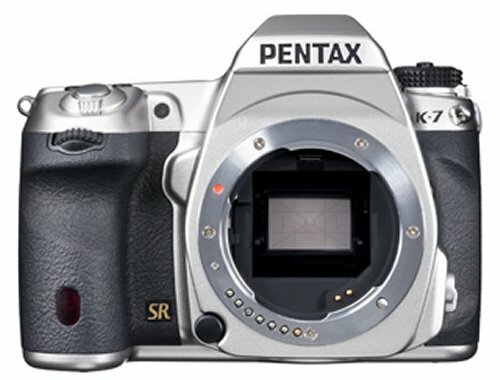 Pentax is offering a special limited edition K-7 DSLR with a special color. That color? Silver. Yeah, as if you’ve never seen a silver camera before. Only a thousand units will be available worldwide, so you can expect to pay a premium. 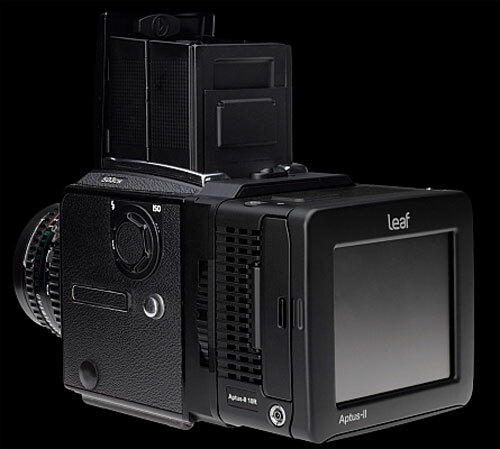 This limited edition version also has several enhancements, like a specially reinforced glass plate for additional protection for the LCD display, updated firmware and photo processing software. It’s also weatherproof. Want one in this special color? 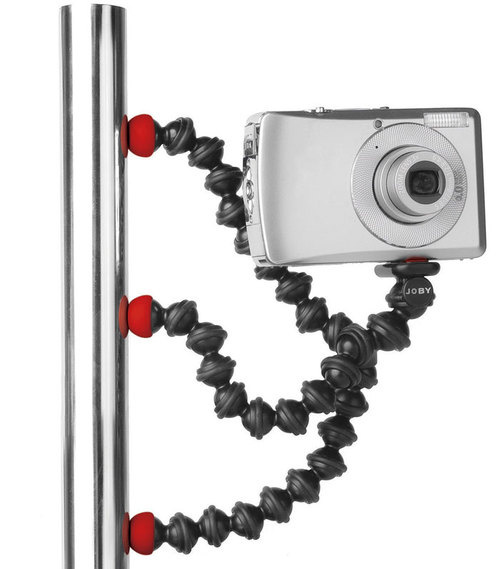 GorillaPod, the very useful bendy tripod has just announced its newest version: GorillaPod Magnetic. This version has magnets on its feet, allowing it to attach to just about any magnetic surface and do it’s duty. It still works without sticking to a surface, of course, if you want to use it that way. But it’s much more versatile with it’s new ability. Expect it to be available in April for all of your odd tripod needs. Sometimes it can be tough to make the subject of your photographs smile. You could make a funny face, tell a funny joke or just use this Robot Camera. This camera will take three photos from different perspectives with each shot, since its eyes and mouth are really lenses. It’s an old school robot that uses traditional film though, no digital here. It will cost you $59.99 and comes in black or white colors. If you love robots, this is the camera for you.